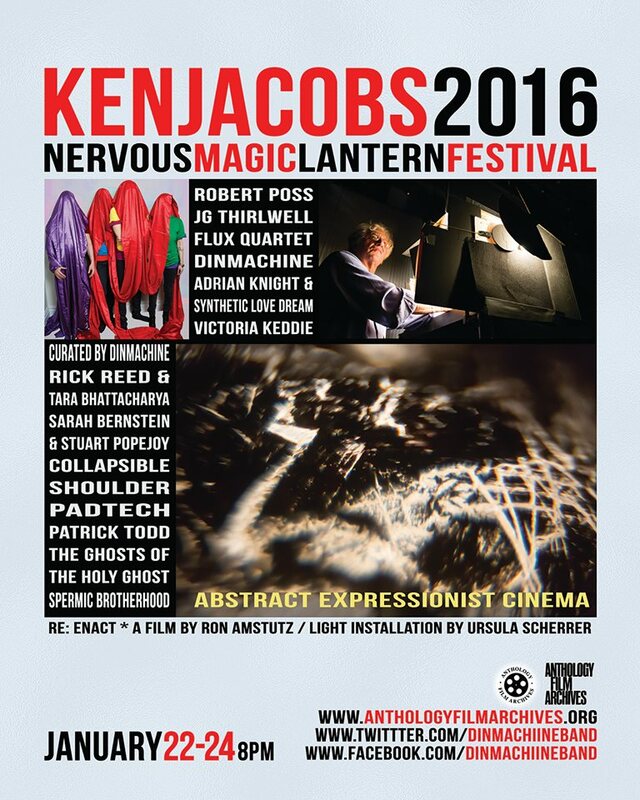 JG Thirlwell will be performing at the Ken Jacobs Nervous Magic Lantern Festival at Anthology Film Archives on Jan 24 2016 with Collapsible Shoulder, Victoria Keddie and Rick Reed / Tara Bhattacharya. 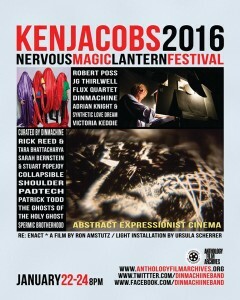 Ken Jacobs (born 1933 in Brooklyn, New York) is an influential experimental filmmaker. He is the director of Tom, Tom, the Piper’s Son (1969, USA), which was admitted to the National Film Registry in 2007. His Star Spangled to Death (2004, USA) is a nearly seven-hour film consisting largely of found footage. He is a recipient of the American Film Institute’s Maya Deren Award. The Nervous Magic Lantern works without film or electronics. Moving parts are lightweight fans and an exterior spinning shutter. In the hands of an active projectionist it can fill the screen with moving 3D forms seen from every possible angle, no 3D spectacles required.